USEFUL gift idea for wine novice or expert alike. 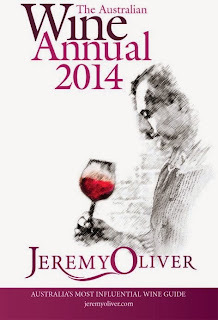 A GREAT Christmas gift idea for those hard-to-buy-for relatives or mates who are maybe just taking their first steps along the fascinating road of wine, or are already somewhat of experts on the subject, is Jeremy Oliver's Australian Wine Annual 2014. For here is a handy-sized guide for pocket, purse, glove-box or home bar or cellar, that details wines from over 300 Australian wineries, has invaluable tasting notes on some 1,400 current releases, and more than 14,000 ratings of back vintages. And it's also packed with loads of useful advice on what to drink, what to cellar (and what not to cellar) – and Jeremy's always highly-anticipated opinion on what are our Top 100 Aussie-made wines, and his equally-anticipated best buys for under $20. You'll also find plenty of interesting observations on how we're over-supplied with local product yet at the same time saturated with cheap imports, Australia's ever-evolving diversity of blends, local wineries to keep an eye on, and why Jeremy considers the best wine released this year was Wynns John Riddoch Cabernet Sauvignon 2010. 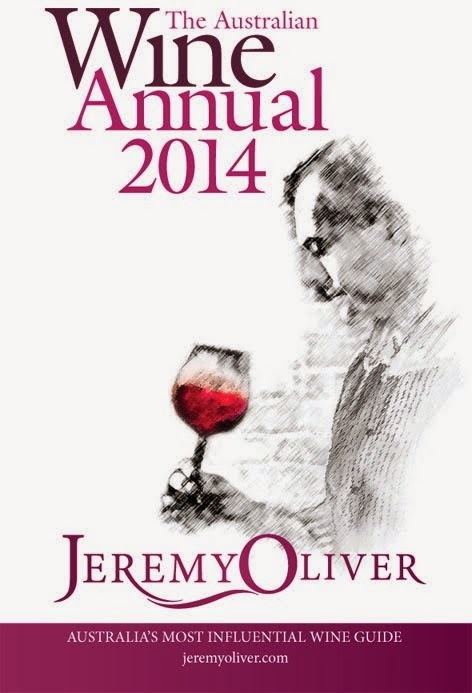 This 17th edition of The Australian Wine Annual is available from most book stores, select fine wine outlets and cellar doors, and at $32.95 great as a gift – or for yourself. be a hit over the festive season. ONE TO NOTE: WHILE the traditionalists will doubtless look down their noses – as many did both here and overseas when Australian winemakers starting putting their wines under screw-caps – we think one of the best ideas to hit the market in 2013 is the just-released Yellowglen Yellow Brut Cuvée that's got a resealable screw cap. It means no more wrestling with stubborn corks or losing some of your bubbly when it fizzes up and overflows with the release of the exploding cork – and best of all if you enjoy just a glass or two with dinner at night, simply screw the cap back on to keep the remainder fresh and full of fizz for subsequent evenings. And it's just $14.99… while for those who can't bear to break with tradition, yes, Yellow Brut Cuvée will continue to still be available with a cork seal. Chardonnay and Voigner, a blend like Simon and Garfunkel. Well, sort of. CHARDONNAY and Viognier aren't something you see as a blend too often on bottle-shop shelves, so when Yarra Valley growers Garry and Julie Hounsell used these two from their low-cropping and somewhat exceptional Dixon's Creek vineyard in a 2013 Toolangi label Emanai, it had us asking: just what is Emanai? And we got an interesting answer, for Emanai has nothing whatsoever to do with oenology, and is not even in the dictionary: it was purely created by Garry and Julie from the first two letters of the names of their children Emma, Andrew and Aimee. As well it's an equally interesting wine, made for the Hounsell's by Franco D'Anna at Hoddles Creek Estate, with white peach and apricot suggestions to the front on the taste buds, hints of citrus, and is quite crisp and lively with somewhat tart acidity. ONE TO NOTE: WHEN the Clare Valley's Tim Adams and wife Pam Goldsak visited Spain in 2002 and saw how well Tempranillo flourished there in the Rioja region, they were convinced it could do equally well back home in the Clare. So they planted their first Tempranillo on their return, and now have some 16ha under the vine, saying their confidence has been entirely justified by the straight Tempranillo wines they make under their Tim Adams and Mr Mick labels, and a blend with Grenache under their Tim Adams The Fergus label. "The Fergus is primarily Grenache and Tempranillo, with smaller contributions from Mataro and Shiraz," Tim says. "Our latest Fergus from the 2009 vintage has lifted red berry flavours and is a mouth filling wine that can be kept for up to 10 years, or enjoyed now with duck, turkey, lamb and gamey meats… and it's our best yet." RRP is $23. · Aussie Sauvignon Blancs starting a comeback against Kiwi dominance. The 2014 Sydney International Wine Competition has produced the most diverse range of TOP 1OO and Blue-Gold award winners in its 33 year history. 2000 wines were assessed by six Australian and seven international judges, with the 400 highest pointed wines re-judged with food, making it the most consumer friendly wine competition in Australia. Trophy winners will be announced at the Presentation Banquet in Sydney next March. · Tasmania starred alongside Champagne in the white and rosé sparkling wines category. · Australian and Alsace wines were the success story of the Aromatics category. · For the first time in recent years, NZ Sauvignon Blancs did not enjoy a clean sweep in the Sauvignon Blanc wines category. · Outstanding Australian Chardonnays highlighted the revival of the variety in Australia. · Tasmania defied the recent dominance of New Zealand Pinot Noirs. · Shiraz from Australia/Syrah from New Zealand was again the most awarded red variety with a great diversity of styles from both classic and emerging regions. · Lesser recognised grape varieties continued to grow their influence in the marketplace. "It is pleasing to see not just style diversity between the classes, but also within the classes, providing the consumer with some really interesting options. "The huge improvement in the style and quality of Australian Chardonnay is a story that needs to be told at every opportunity. I strongly recommend consumers to try these new style Chardonnays, especially those consumers who moved away from Chardonnay a number of years ago. You will be amazed by the complexity, elegance and diversity that now exists in Australian Chardonnays. "Shiraz/Syrah was the most awarded red variety, with a wide range of styles coming from a spread of both warm and cooler climates within Australia and from Hawkes Bay in New Zealand. "An increasing number of awarded wines were made from the lesser-known Barbera, Nebbiolo, Malbec, Rondinella Corvina and Montepulciano grapes, showing that wineries are responding to the interests of more adventurous wine consumers." 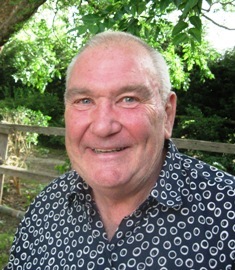 SIWC Convener, Warren Mason, said the competition is still the only international 'major' where its judges divide its finalists into 'Style' categories of similar palate weight, and judge these 'Style' categories alongside appropriate food – with the key objective of making the results more relevant to consumers. "A wine that is successful in traditional wine shows might taste quite different when tasted with food. By singling out these Award winners, the main aim of the Competition is to help consumers confidently select wines that are more appropriate to every day dining." he said. "Wines that make the cut in the SIWC Awards are tasted and re-tasted by the judges on four separate occasions, the last of which is with appropriate food. This final assessment enables the judges to assess the wine the way consumers will see it. Wines that stand out initially don't always perform as well with food and the reverse is also true." "The judging is held over five days and is a demanding exercise but it has always attracted highly qualified judges – both local and international – who endorse our approach. The judging panel for the 2014 Competition was no exception." The Awards/Trophies Presentation Banquet for the Sydney International Wine Competition will be held on Saturday, 8 March 2014 (from 12pm – 4pm), Grand Ballroom, Shangri-La Sydney. In a practical demonstration of the symbiotic relationship between wine and food, the seven dégustation food dishes will be complemented by the appropriate Trophy winning wines. The Banquet is preceded by the premier tasting of the TOP 1OO and Blue-Gold Award Winners, (10.00 am to Noon) ,each in their thirteen separate Style categories. Tickets $230.00 p/p. Tables 8-10 $210.00 p/p. Exhibitions: TOP 1OO and Blue-Gold Award Winners, Saturday, 22 March 2014, The Menzies Ballroom, Sydney. Session 1: 10.00 -12.00. White Awards $35.00. Session 2: 2.00 - 5.00. Red Awards $50.00. Both Sessions: $75.00.